A summer parade, a drummer parade, a magical bucket-and-bowl serenade! What begins with one boy’s beat on a kettle soon spreads to pots and pans and cartons and cans all across the neighborhood. 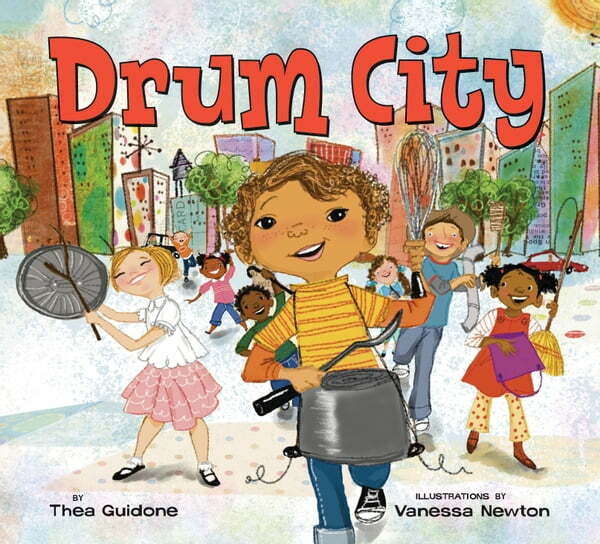 When everyone joins in, together they create the catchy, driving tempo of a bright, hot DRUM CITY!